(plugin) This may seem like an obvious tip; However, you’d be surprised how many people forget to do this! Whatever it is you that you want a visitor to your website, app, etc to do; You must make it as seamless as possible for them to do it. Here is the link to the Facebook Developers page to embed your personal pages like button on your website. Curating content from other pages and companies that complement your audience is a great way to add value to your audience and build a relationship with other pages. 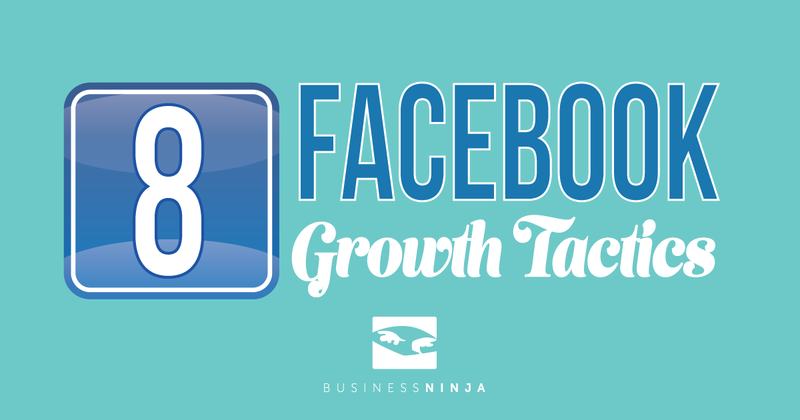 Choose 5-10 successful Facebook pages that share your target audience and share their content once or twice a week. Then send them a message and offer them to share your content with their audience in return for credit on their page. Once in a while it’s a good idea to share your business page with your personal audience. You want to make sure your page is clickable when sharing it. Type the “@“ symbol before mentioning your page (e.g. @YourBusinessName). This will make the link directly to your page if people click on it. Make a list of around 30 relevant companies that have the same audience as you. This way they’re all in an excel spread sheet so you can easily contact them. Send them a message that describes who you are, what your business is and how you’d like to work with them. Contests are a great way to engage with your audience and promote sharing. Provide a giveaway that is valuable to your audience. Encourage sharing/tagging for their chances to win to be increased. E.g. “Tag three friends and share on your time line to win ______”. Make each email that you send a marketing message. Use services such as Wise Stamp to embed social media links to your email signature. This is a tactic used by many growth hackers. Contact sites and companies that have the same audience and write a blog post for them. This creates a win/win relationship because you’re providing value to their blog. In return, people will see who wrote the article and their social media links attached to it. Hello bar is a fantastic company that gives users amazing marketing techniques to use on their website. They have a very effective Facebook pop up. When users go onto your website, you have the ability to market a seamless like button through banners and full screen attention grabbers. This is a very effective tool that converts very well. Visit Facebook analytics if you’re looking for a bit more information. There are also paid tools available that will give you detailed analytics. For example, Fanpage Karma will give you stats on each type of content.